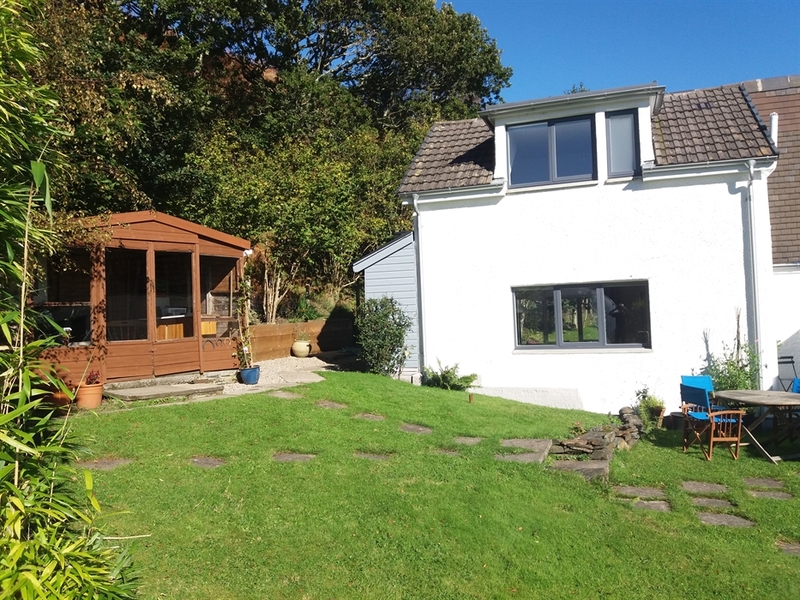 Ealachan Bhana is a stylish newly designed self catering apartment for 2 people on the Isle of Seil, near Oban. Lying close to the shore of beautiful Balvicar Bay, it is an excellent holiday location and ideal for a peaceful getaway. 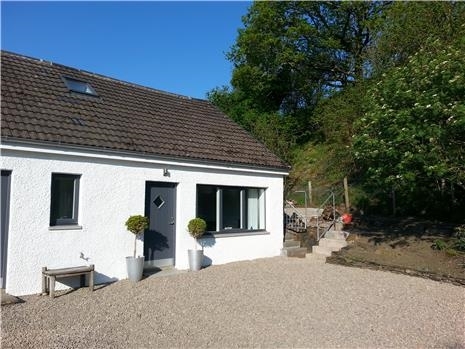 Less than 2 miles from Seil's famous Bridge over the Atlantic, Ealachan Bhana is a stylish one and a half storey apartment that lies to the side of the owner’s property. This newly designed apartment is spacious and bright with double aspect views across the garden, woodland and countryside to Balvicar Bay. There is ample parking for two cars (and boat etc) off the main house driveway. The accommodation is over two floors and consists of ground floor open plan living with modern kitchen and dining area. 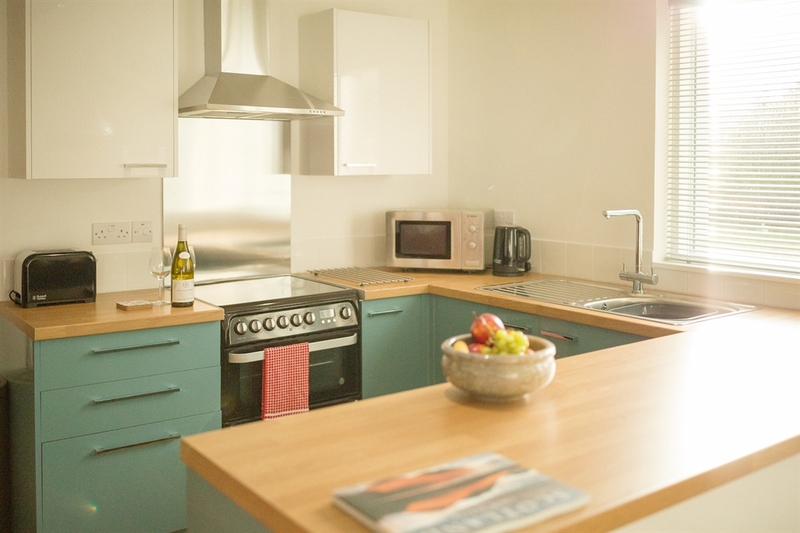 The kitchen is well equipped with full size electric hob and double oven, microwave, toaster and integrated fridge with ice-box. A welcome pack is provided for arrival. The living area has a comfortable good sized sofa. 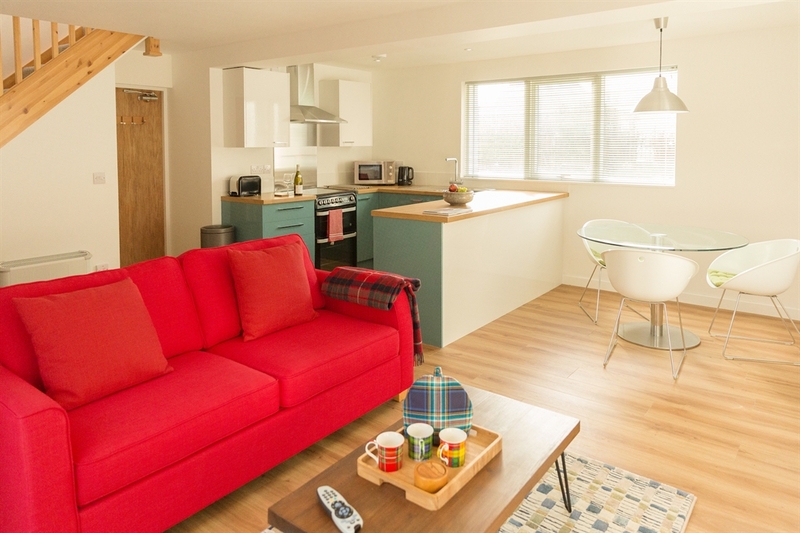 The apartment has a 32” flat screen television with Sky TV, Cinema, Box Sets and Sports packages included. There is also a DVD player and wi-fi internet access (fibre-optic). 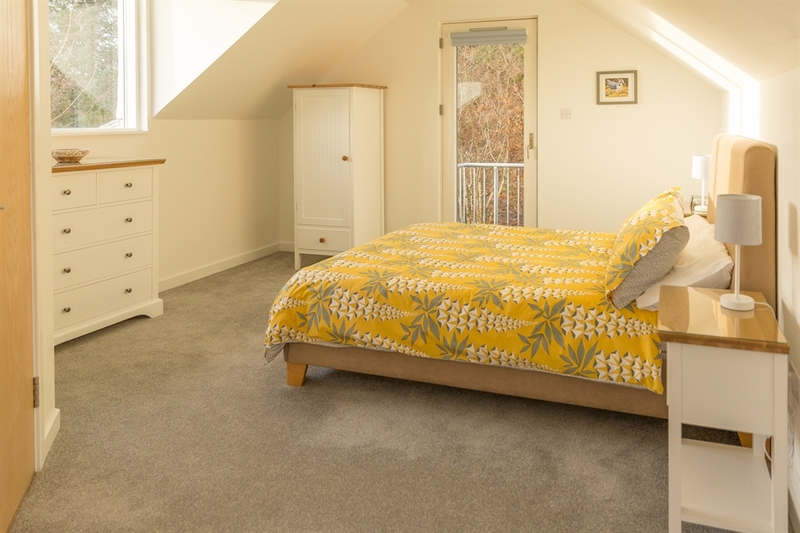 Upstairs there is a comfortable and airy bedroom with double bed and plenty of storage. There is also an en-suite shower room with shower enclosure, wash hand basin, toilet and heated towel rail. All towels and linen are provided. If required the sofa in the living room easily converts to an additional full sized double bed. All heating is electric and included within the tariff. Our Scandinavian windows and doors contribute to this modern, warm and well insulated apartment. Guests are welcome to use the garden where there is also seating and barbecue facilities. The island's well stocked licensed store and post office is a 5 minute stroll away in the village of Balvicar, and sells local produce including venison, free range eggs and home baking. 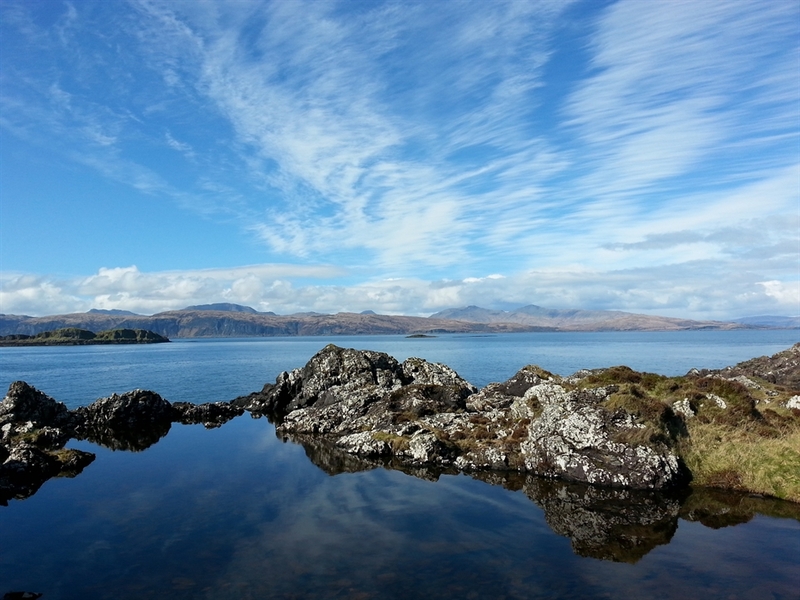 Waiting to be discovered the Isle of Seil has great walking, fresh air and stunning sea views. Visit the Corryvreckan Whirlpool (the world's 3rd largest), by booking a boat trip from the island with Seafari or Sea Life Adventures. You can also enjoy bird watching, sea-kayaking, sailing, fishing, cycling, golf, diving and not forgetting this is a great place to take photographs. 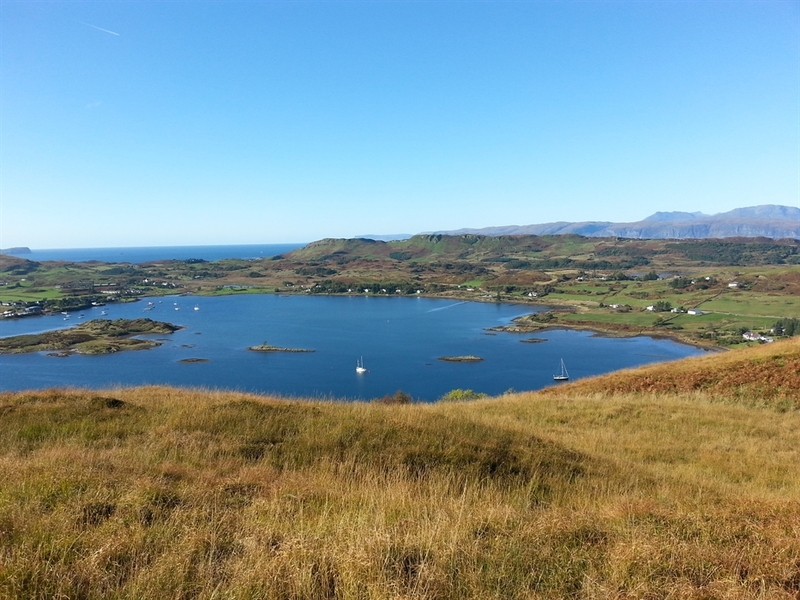 Whether it’s a peaceful stroll along the shore or enjoying the views at Pulladobhrain anchorage, the Atlantic Bridge or around the whole of Easdale Island, you’ll be inspired by what you see. For wildlife enthusiasts there are seals, otters, porpoises, deer, sea eagles and much, much more. 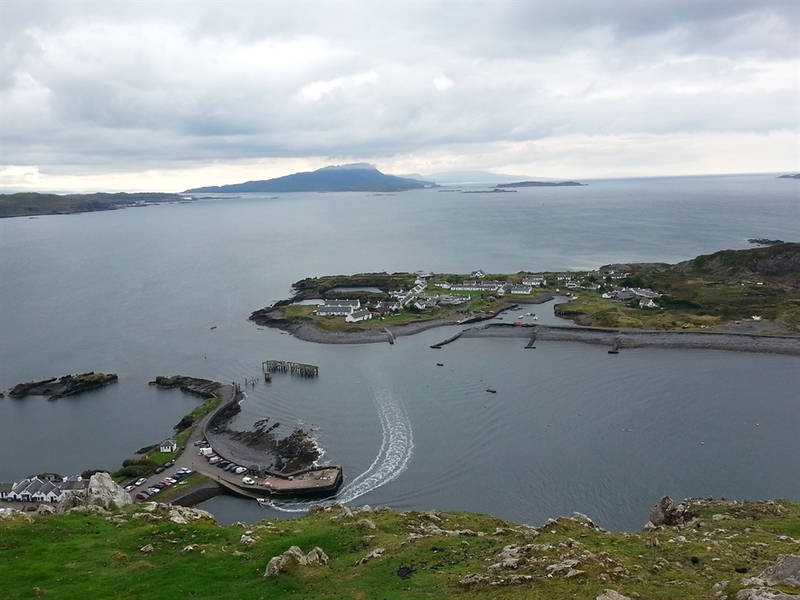 For the energetic, enjoy high point views from the trig point on the ridge, or the almost aerial views from the impressive slate cliffs across Ellenabeich, Easdale Island, Luing and on to the Garvellachs, even Jura, Colonsay and Islay on a good day. 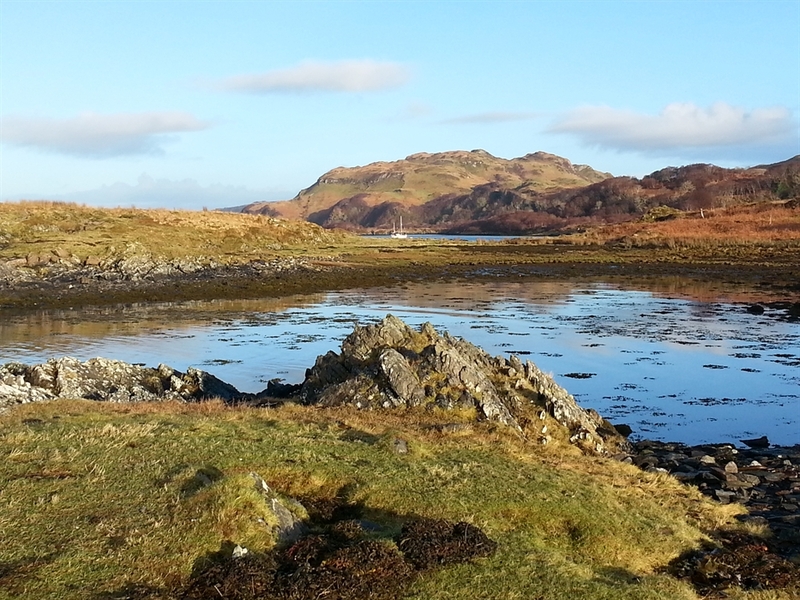 If you do want to eat out and enjoy local seafood and game, there is the characterful Tigh an Truish Inn by the Atlantic Bridge, the Oyster Bar at Ellenabeich where you can watch the sun set, or if you fancy a short trip across the water (4minutes) to Easdale, the charming Puffer Bar. Just a little further away is the new award winning Atlantic Islands Centre on Luing which also offers good food, and sea views alongside interesting local history. 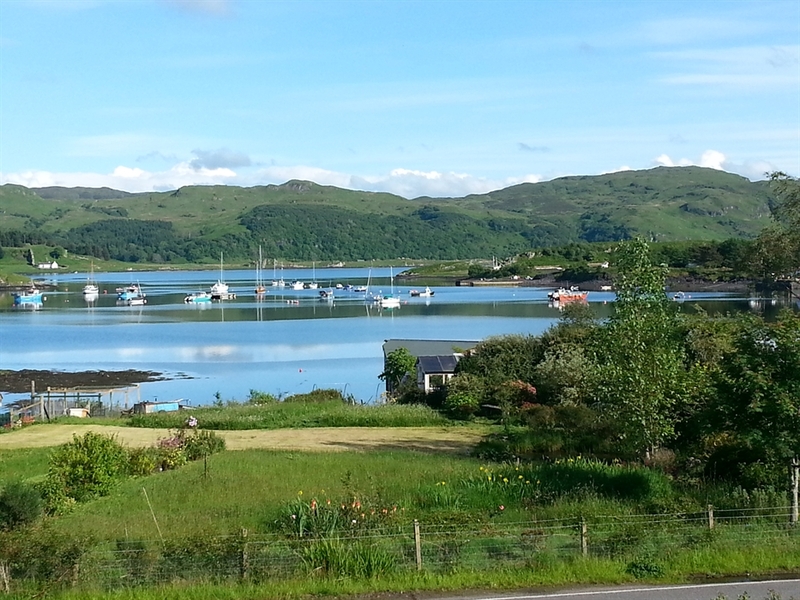 The main town of Oban, seafood capital of Scotland, is 30 minutes away by car or the local bus service. 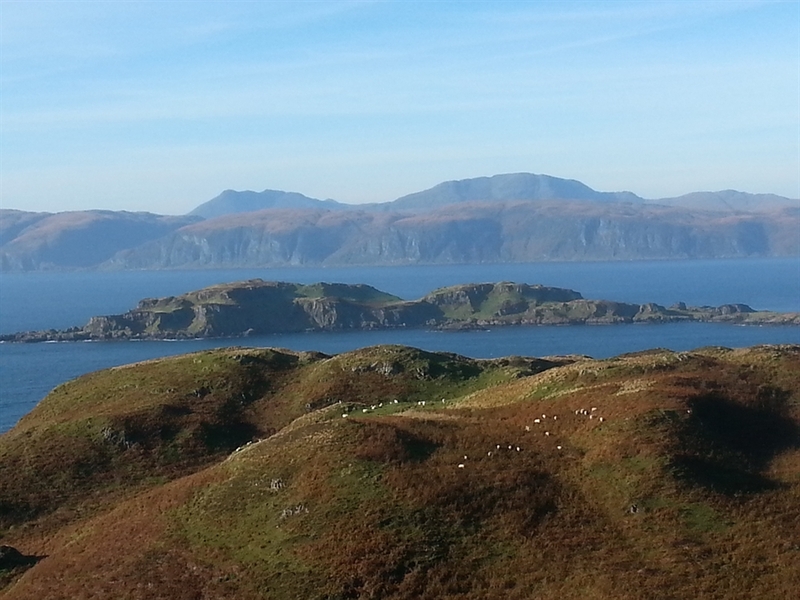 The home of a cult whisky and the impressive McCaig's Tower, it gives excellent access to other Hebridean islands. There’s a good beach at Ganavan Sands, a pleasant 2 mile coastal stroll from the centre of the town. Entertainment comes in the form of the Phoenix 2 screen cinema, the Corran Halls Theatre, evenings at the local pubs, celtic sounds and seasonal ceilidhs. Other places to visit include the magnificent Glencoe and Ben Nevis, Inveraray Castle, Ben Cruachan, the island of Kerrera, Crinan Canal, Arduaine Gardens, Kilmartin Glen, the coastal villages of Ardfern and Kilmelford, and the home of the very first Scots, Dunadd.